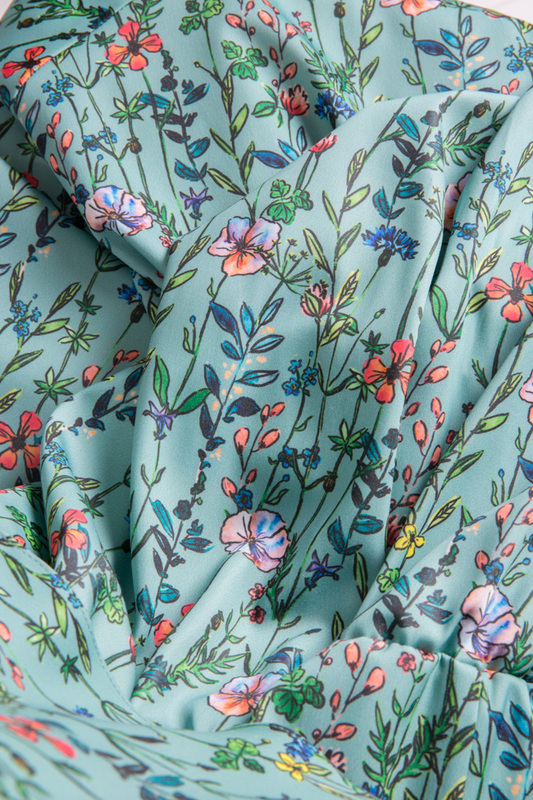 Lure is inspired by the "creative, individualistic and powerful force" of women. This mini dress is cut from a lustrous light neoprene. 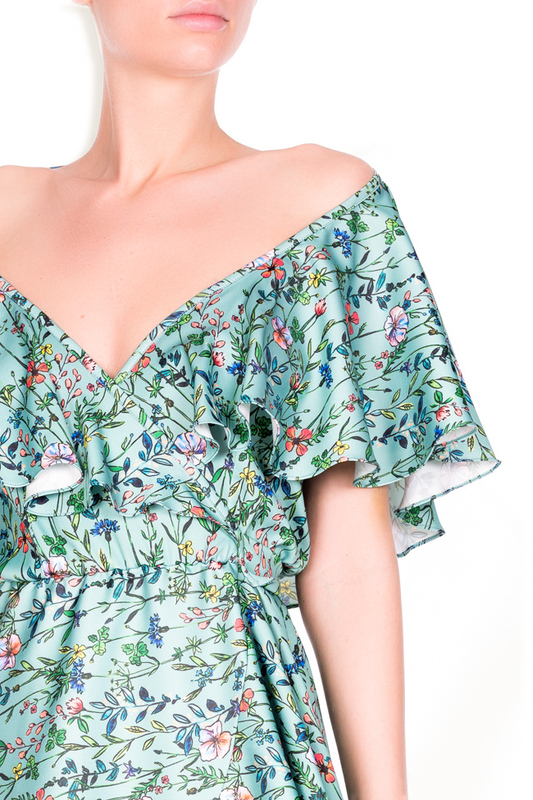 Finished with ruffles, it's printed with a combination of blooming florals. Wear yours with red sandals.